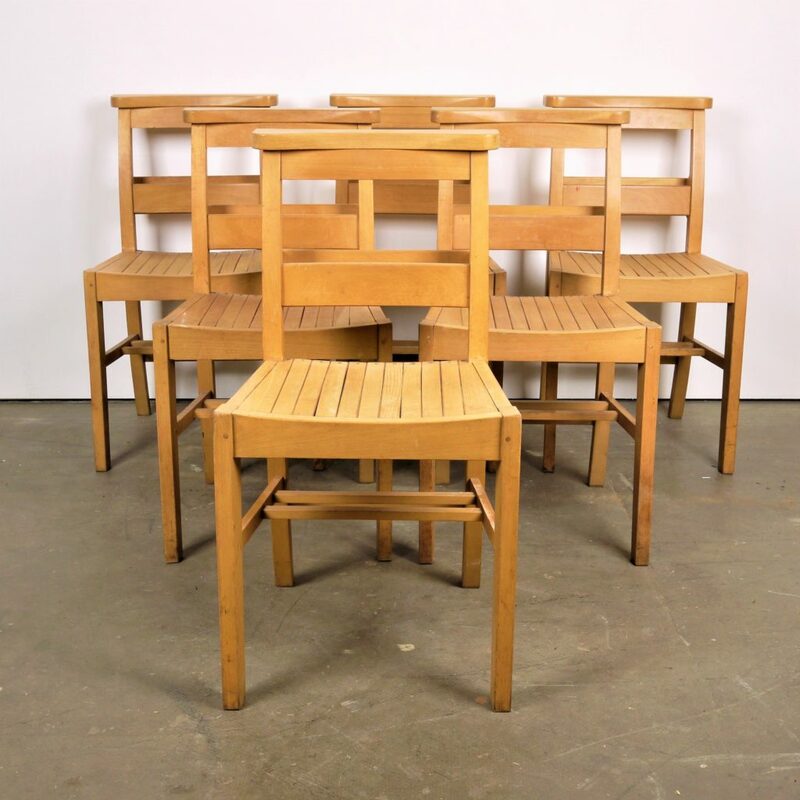 Set of eight 1960’s vintage Beech wood dining Chapel/Church chairs. We were contacted by St Laurence’s Church in Ludlow who were in the middle of a modernisation program and wanted a good home for some beautiful church chairs. We were only able to buy a set of sixteen chairs but it was well worth it because they are stunning examples. They are in grade AA condition, very clean and strong and beautifully made. Most of the major joints are doweled for strength and under the seat the frame is reinforced with two runners. 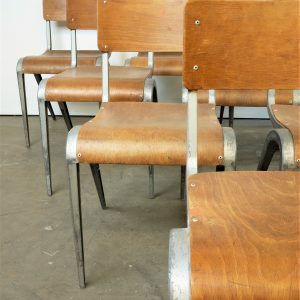 We love the slatted style wood seats because they have a lovely comfortable curve that just feels good. 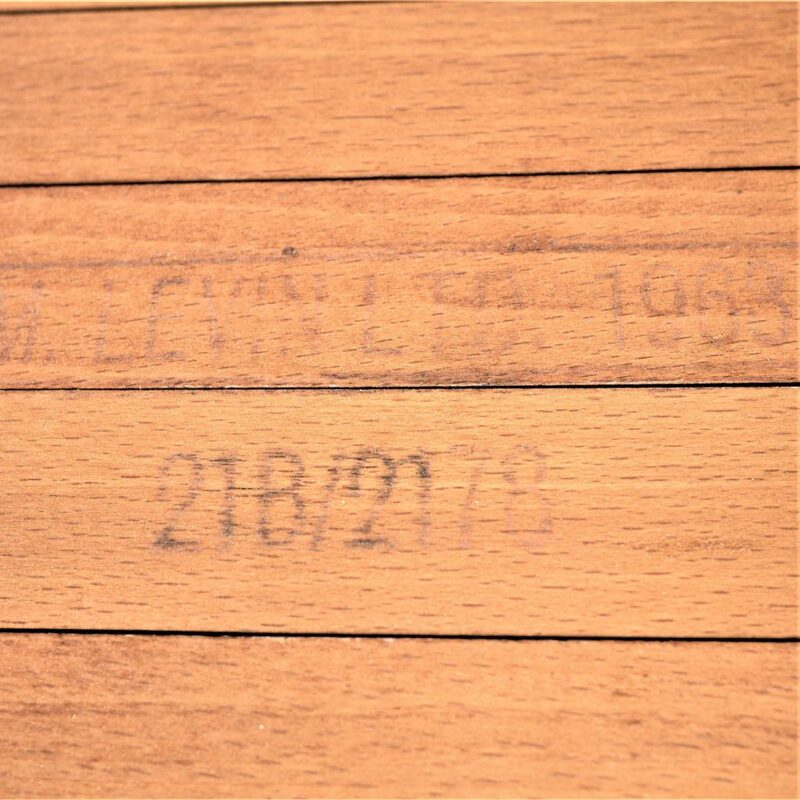 The chairs are made in light beech, most are stamped with the makers name ‘M.Levin’ and date stamped 1963. 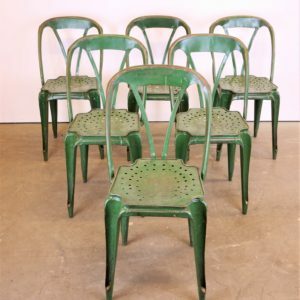 We have a number of these chairs available and are selling them in any multiple required, sets of four, six, eight or simply in singles (�65). 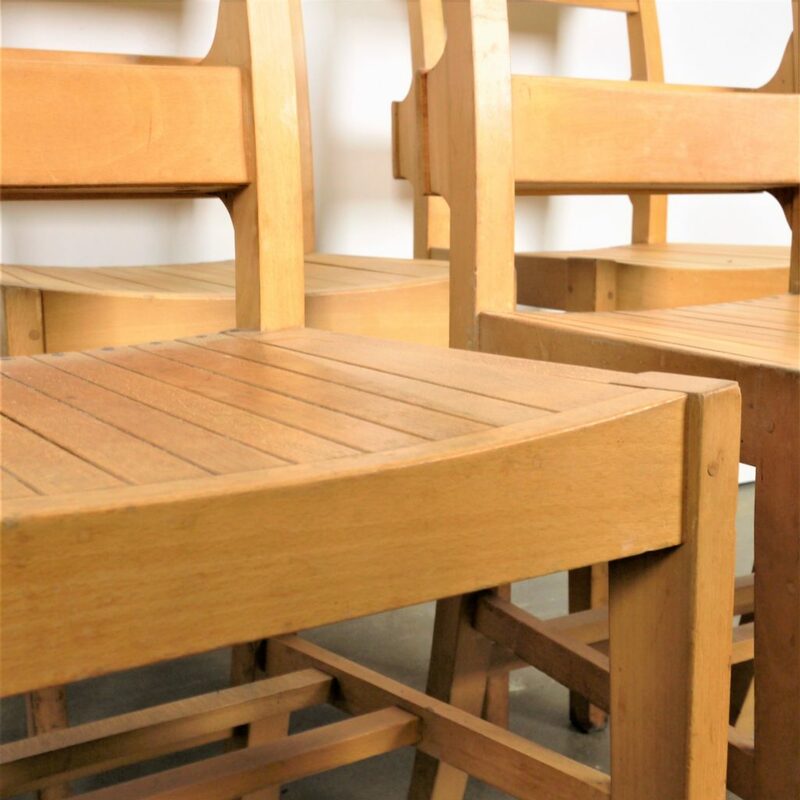 We service and wax each chair individually before they leave our workshop and we deliver chairs of excellent quality. If you do require photographs of the exact chairs that you will receive please let us know and we will arrange photographs. 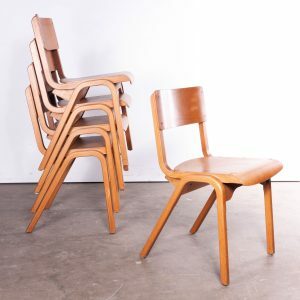 We specialise in high quality vintage dining chairs and have a large range, please see the other chairs we have listed and please contact us for more details or advice. We only sell the very best chairs in great condition with rich colour and patina, please see the other chairs we have listed and please contact us for more details or advice. Seat Height 45cm.